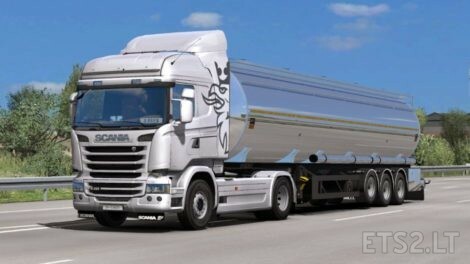 This mod change Inline-6 engine sounds for Scania R and Streamline. Base sounds: SCS sounds and some Youtube videos. Please! Respect the author of the mod and the original link. — Improvements in engine sounds. — Little tweaks on gear air sounds. — Compatible with RJL Scania. last 1 years such sound no no longer now sound all wretched hoarse chaotic..